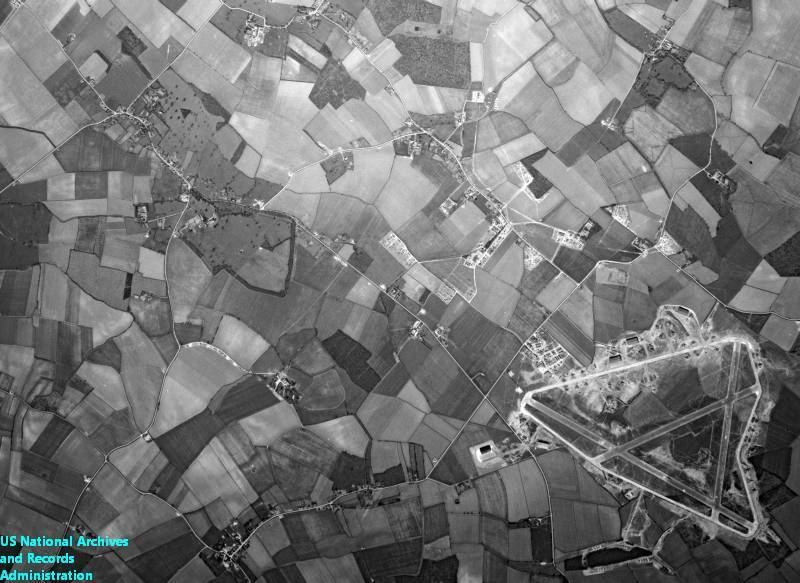 RAF Wratting Common was a Bomber Command airfield built comparatively late in the war (1942), and was operational from 1943 to 1945. It is situated between the villages of West Wickham, West Wratting, Carlton/Weston Colville and Withersfield, close to the Cambridgeshire border with Suffolk. For much of this period, approximately 1,500 personnel were stationed here. In the early stages of its life the airfield was called RAF West Wickham. However it was renamed in August 1943 as RAF Wratting Common to avoid confusion with another similarly named RAF station, possibly High Wycombe (Bomber Command HQ). The station hosted one squadron at a time, but during the war three different squadrons used the base. Between May and October 1943 it was the home to 90 (XC) Squadron, who flew Stirling bombers. XC Squadron then moved elsewhere and RAF Wratting Common became the home for 1651 Heavy Conversion Unit, a training Squadron for bomber crews. Then in November 1944 1651 RAF Wratting Common became the home to 195 Squadron, equipped with AVRO Lancaster bombers for an aggressive operational role. Many bombing missions over Germany were mounted from the base in the last months of the war. In the closing days of the war, Lancasters from RAF Wratting Common took part in non-combat missions, notably operation MANNA in April/May 1945 in which the bombers were used to airdrop food to the starving Dutch. Later the unit took part in operation EXODUS, in which allied prisoners of war were returned home from previously occupied Europe. In August 1945 195 Squadron was disbanded. The station was used for various air training tasks by Transport Command for another year or so. The last aircraft left the base in June 1946 and the land has since returned to its original, rural, use. Most of the site is part of Thurlow Estates, owned by the Vestey family. During the war bomber losses in operations flown from Wratting Common totalled 43 of which 34 were Stirlings.